There are many destinations that are worthy of making the bucket list. But there are none quite like Gorilla trekking in the Virunga Mountains of Africa. If you are thinking about making the trip, here are some gorilla trekking tips that will help you BE PREPARED for an amazing journey unlike any other. We promise… you’ll be happy you read this! Mountain gorillas live in the dense national forests of the Virunga Mountains in Rwanda, Uganda, and the Democratic Republic of the Congo. Since these locations are close to the equator the climate stays pretty consistent year round. The rainy seasons are September – November AND March – April. Dry seasons are December – February and June – August. 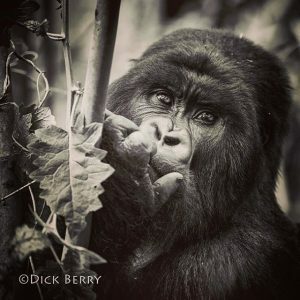 The gorillas are mobile even during the rainy season so trekking is good ANY TIME OF THE YEAR (unlike other types of wildlife viewing where the rainy season can impact travel in some locations). Since the Gorillas live in the rain forest you should be prepared for rain at any time. Both Uganda and Rwanda require gorilla trekking permits. The cost for a permit in Rwanda is $1500 and in Uganda is $600. The permits are valid per person per visit. Tour operators (like Capture Africa Tours) will purchase permits on your behalf. Note: Visits are limited to 1 hour to protect the great apes. Gorilla families are on regular schedules for feeding, making nests, and much more and we must not disrupt their daily routines. Stress can affect the health of the gorillas so limiting exposure to humans protects against illness. Choose the trek that makes the most sense for you! If you want an easy trek or more challenging our group will be assigned a family of gorillas depending on their location. Prepare yourself by exercising prior to your trip. Just remember you will always have porters to help you along the way. No flash photography! We suggest a camera body with a medium range telephoto lens (70 – 200 mm). Bring a waterproof bag/small backpack to store your camera and equipment in case of rain/moisture. Photographs may be easier to take during the dry season, December, January, February, June, July, August, and September. However, be prepared for wet conditions year round in the rain forest. Do not trek if you are sick / No loud noises / Stay with your group / Listen to your guides / Maintain safe distances / Do not attempt to touch any animals / Take your trash & belongings with you when you leave — Ask your guide for more insight on gorilla etiquette. Ready to put the gorilla trekking tips to the test? Now that you are equipped with some important gorilla trekking tips, find out what it’s like to ACTUALLY make the trip! 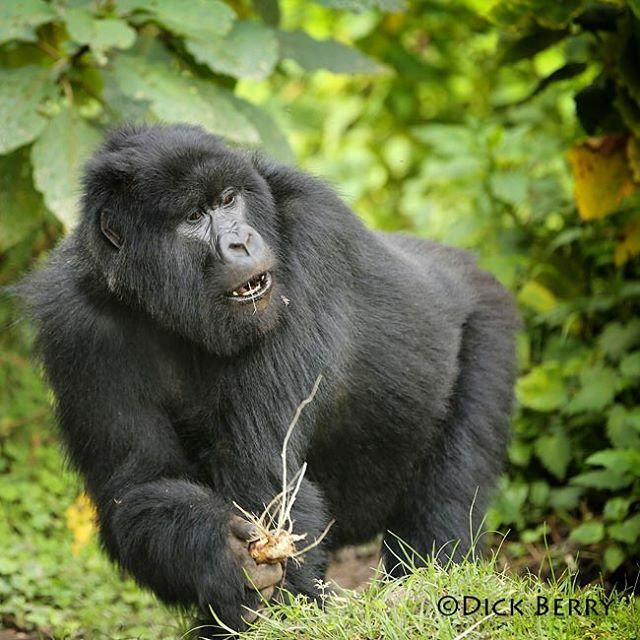 Check out our sample itinerary for our Rwanda Mountain Gorilla & Golden Monkey Trekking tour! We love being able to visit both of these beautiful species in one trip. This is one of our all-time favorite adventures so we offer Gorilla trekking on its own as well as an extension before or after another tour. The options are endless with Capture Africa Tours as it should be with any African journey. Contact us with any questions you may have and to discuss checking off Gorilla trekking from YOUR bucket list!